How Long Have I Been At This? Happy Good Friday! I've been trading since 1982. I've been a "credentialed" professional since 1986. About every other year I forget Good Friday is a Holiday. Yanno, even a carp can learn with that many repetitions! Good Friday week: Go fishing. So going fishing may be your best bet for next week. I hope you had your cooler packed with cold beer! 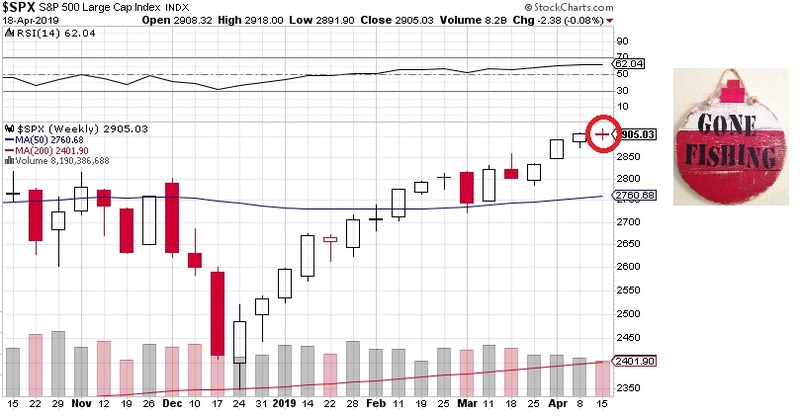 Some may call last week's market a doji, I call it a Gone Fishing® candle.